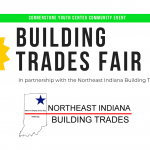 Join us to learn more about Northeast Indiana Building Trades at this hands-on, family friendly event! We have invited Northeast Indiana Building Trades, representing 18 construction trades in the region, to bring representatives from their industries to explain their trade and discuss apprenticeship opportunities with our community! Apprenticeships are three-to-five year training programs, at no cost, in which students learn their trade with hands-on and classroom training and work towards becoming a master at the craft. A majority of the apprenticeships offer an accompanying Associate’s Degree from Ivy Tech, along with a Journeyman’s card which can be used almost anywhere in the U.S. upon graduation. This event is open to all, regardless of age or experience in construction. Building trades representatives will be able to discuss future plans with students to get them in a good position to be accepted into an apprenticeship upon graduation. 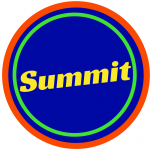 We will have contractors and tradesmen on site to discuss work opportunities with anyone who is over the age of 18 with a valid driver’s license and a H.S. diploma or equivalent. Bring the whole family and don’t miss out on this community event! Come celebrate our accomplishments and talk about plans for Fall 2019!